Editor’s Note: The job listing for Stericycle is no longer available. Keep checking back — we’ll share more awesome work-from-home jobs as we find them! Another day, another… list of awesome work-from-home customer support jobs! Whether you’re looking for a flexible side-gig, want to stay home to get more family time or just don’t like being around people all that much (hey, I feel you! ), we found five jobs you can do from the comfort of your living room. Honestly, who wouldn’t want to introduce themselves as a professional Happiness Engineer?! To become a Happiness Engineer, you should — get this — be passionate about making people happy. You should be able to answer people’s questions efficiently and help customers understand how to get the most out of Automattic’s products. You should have clear communication skills, a patient and compassionate attitude, and some basic technical knowledge. A good sense of humor doesn’t hurt either. Scheduling is flexible with the ability to work around the clock. No word yet on what the position pays, but we’ll update this post as soon as we find out. Visit Automattic’s site to get specifics on applying. Vacasa is a private vacation home rental management company. As a reservations agent, you’ll be the first point of contact for potential customers. You’ll be responsible for fielding phone calls and emails about reservations and pricing, collecting payments, modifying existing reservations and, on occasion, solving problems concerning the owner of a rental property. Big plus if you have previous travel industry experience! To be successful in this position, you’ll need to be able to communicate in a positive, professional and “customer-centric” way, have strong written communication skills and be able to clarify, address and solve problems and concerns. This is a full-time position and you’ll make $12 per hour (plus commission opportunities). Think about it: vacation time plus employee discounts on vacation rentals? Yes. Yes, please. You can apply to become a part of the Vacasa team here. Packlane is a company that helps business owners create custom packaging for their products and orders. As a customer service representative, you’ll be expected to communicate with customers (especially during live chats), be a serious problem solver, keep customer accounts up to date and be a bit of a know-it-all when it comes to the product info, pricing, technical issues and customer orders. To thrive in this position, you should be meticulous in your work, a passionate people-person, a reliable worker, a solid communicator and have a firm grasp of Adobe Creative Suite. Pay is $10-12 per hour. If you’re interested in working for what seems like a pretty neat company, you can apply here. Stericycle is a communications solutions company that provides communication-based services and technologies to customers. Pay and benefits are not listed, but we’ll update the post with more specifics when we know more. If you’re interested in applying for this position, visit the original job listing here. As a customer service representative at Slingshot, you’ll be in charge of providing “top-notch” customer service over the phone and live web chat, scheduling appointments and connecting clients with the company’s in-house pest experts. For this position, you’ll work primarily from home but will need to be within a 1.5 hour drive of Slingshot HQ in Orem. Benefits include health care, paid time off and a 401(k) match. Pay is base plus commission, and Slingshot notes that customer service representatives make between $10 and $13 hourly. To apply for this position, check out the original job listing here. Be sure to check out our Jobs page on Facebook so that you never miss another job posting! 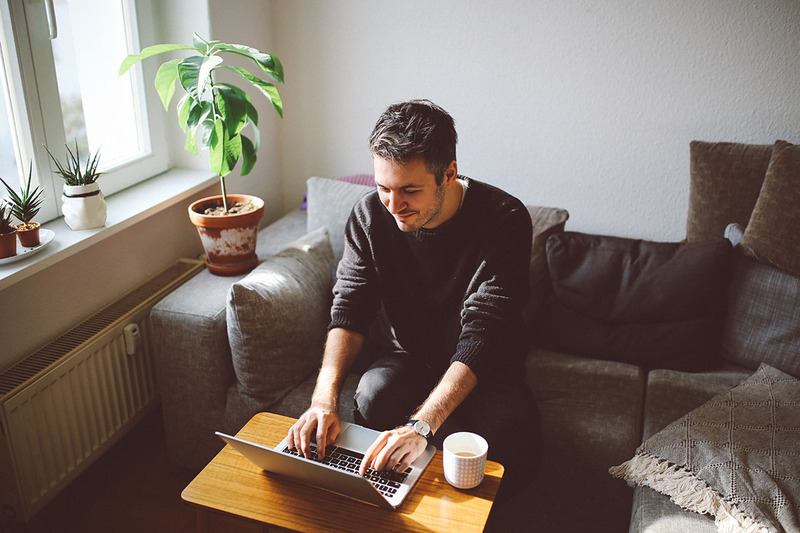 Your Turn: Do you crave the flexibility of a work-from-home job?